Jandamarra, or "Pigeon" as he was known to European settlers, was an infamous "outlaw" in the 1890s. 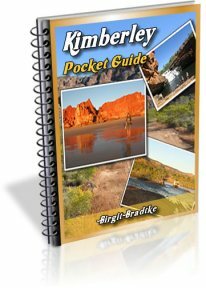 During that time the European settlers were opening up large parts of the Kimberley. In the process Aboriginal people were driven from their lands, or worse, rounded up, deprived of their freedom and forced to work on the newly established cattle stations. If Aboriginals were caught spearing the sheep or cattle of the settlers, they were chained around the neck, marched to Derby, and forced to work there in chains. Pigeon belonged to the Bunuba tribe and grew up and lived in the Oscar and Napier Ranges. Lillimooloora Police Station in front of the Napier Range. Like many Aboriginal people at the time, he was forced to work from a young age as a slave for the settlers. During that time he became close friends with an English guy called Richardson. Jandamarra was an excellent horseman and marksman. So when his friend Richardson joined the police force in 1890, Jandamarra was employed as his native tracker. On one of their patrols in the Napier Range Police Constable Richardson and Jandamarra captured a large group of Bunuba, Jandamarra's kinsmen and women. The group was held at Lillimooloora Police Post for a few days. One of the captives was Pigeon's uncle, chief Ellemarra. He put pressure on Jandamarra and forced him to decide between his tribal roots and his new loyalties. If Jandamarra did not want to be outcast from the Bunuba tribe, he had to kill Richardson. So Pigeon shot Richardson, set the group free, stole some weapons and disappeared. The grave of Constable Richardson at Derby's Pioneer Cemetery. 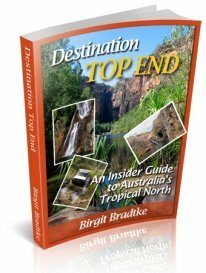 From then on he used the ranges and caves of Windjana Gorge and Tunnel Creek as hideouts as he led an organised armed rebellion against the European settlers. November 10, 1894 marks the first organised attack that used guns against Europeans. Pigeon and his men ambushed a group of of five settlers who were driving cattle into Bunuba land to set up a large station. Two of the settlers, Burke and Gibbs, were killed at Windjana Gorge. In late 1894 Europeans thought they had won a victory. A group of thirty police and settlers attacked Jandamarra and his band at Windjana Gorge. Jandamarra was seriously wounded and thought dead. But Jandamarra sure wasn't dead yet. He recovered and for the next three years defended his land and people against the white intruders. His ability to appear out of nowhere and disappear without a trace became legend. Once a police patrol followed him to his Tunnel Creek hideout (the "Cave of Bats"). Or so they thought. While they were at Tunnel Creek, Jandamarra was actually raiding THEIR base, the Lillimooloora Police Post. 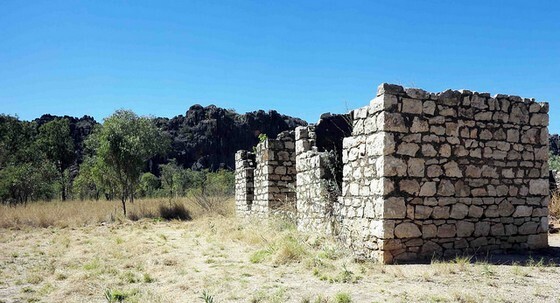 Ruins of the Lillimooloora Police Station, in the background the Napier Range. Aboriginal people were in awe of Pigeon, a man of magical powers who could "fly like a bird and disappear like a ghost". They were convinced that he was immortal, that the only person who could kill him would have to be an Aboriginal person with similar magical powers. 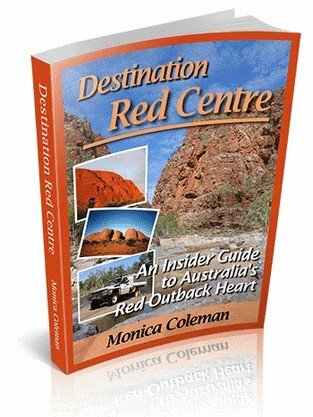 Micki was a black tracker whom the police had recruited in the Pilbara. He WAS said to possess magical powers as well, and he did not fear Pigeon. With the help of Micki the police managed to track down Jandamarra at Tunnel Creek on April 1, 1897. 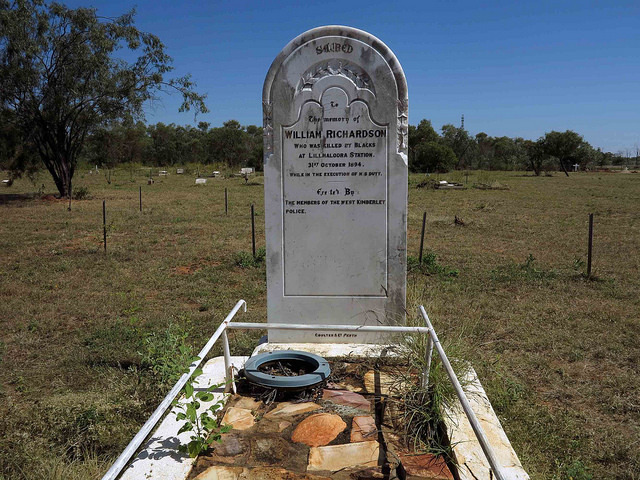 Jandamarra was killed in the shoot out, and another battle for Aboriginal lands came to an end. They explain the history of the region and of the people buried here. 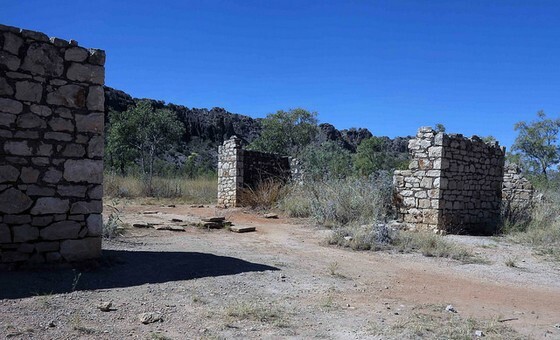 The Pigeon Heritage Trail is a self drive trail that follows the story of Jandamarra. 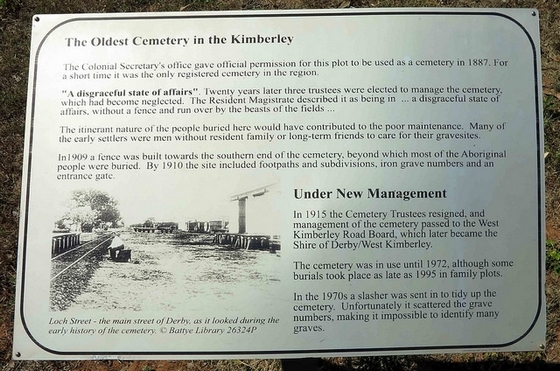 The drive begins in Derby, taking in the Old Goal and the Pioneer Cemetery. 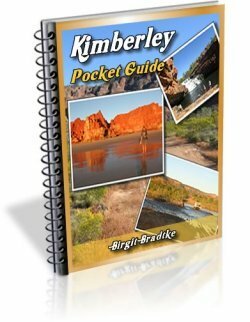 It follows the places connected with Pigeon's operations, like Lillimooloora Police Post, and eventually takes you to to Windjana Gorge and Tunnel Creek. You can get the necessary information and brochures from the Derby Visitor Centre.